Posted on January 16, 2014 - Get free updates of new posts here. Email Marketing has been around almost as long as the internet, and the reason that it has stood the test of time is purely down to performance. Email continues to deliver a high ROI for the marketing spend required and is relied on by hundreds of thousands of companies around the world to generate leads and sales. There is still a big difference between ‘successful’ email marketing and ‘really successful’ email marketing and that difference boils down to one thing – testing. The effect that a subject lines length can have on open rate. 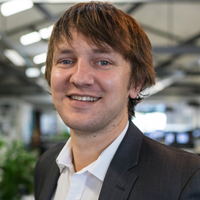 Split Testing – Sending your email with one subject line to 50% of your database and a second version with a different subject line to the remaining 50% with accurate reporting to find the best performing subject line for optimising future campaigns. Delayed Testing – A useful feature for companies with large databases. This allows you to divide your database firstly into two 20% segments which receive different versions of the subject line. A set timeframe later (usually one hour) when a winning subject line is decided, the remaining 60% of the database will receive the email with just the winning subject line, maximising results from the campaign. ‘From Name’ Testing – some providers such as Mailchimp allow you to split test the ‘From’ name field which, when combined with subject line testing, will maximise your overall results. Straight forward subjects which accurately describe the contents of the email work best. Use of location helps, providing a city name in the subject helps open rates. The ideal subject length is under 50 characters. The ‘From’ line should remain consistent and communicate either your company or personal name. Subject lines that ask a relevant question can perform better. Repeating subject lines or using similar ones to the same list will have a negative effect on open rates over time. Extremely promotional subject lines will have a negative effect on open rates. The results of a subject line test involving 3 different variations as detailed by MarketingExperiments.com. 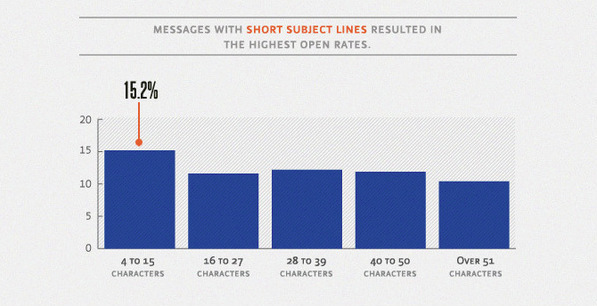 The length of subject lines, long vs short. Personalisation of subject lines with subscriber names. Promotional keywords such as Free or Sale. Capatalisation of some or all keywords. The use of symbols such as question/exclamation marks and other icons. The language used, ie. formal, descriptive, friendly, cryptic. Think you’ve mastered the art of subject line testing? Check out this article which looks at the timing of online marketing and how when you send your email newsletters can have a big effect on your overall results.